Luxury, premium quality, grain-free dog food containing Duck, Venison, Rabbit and sweet potato. 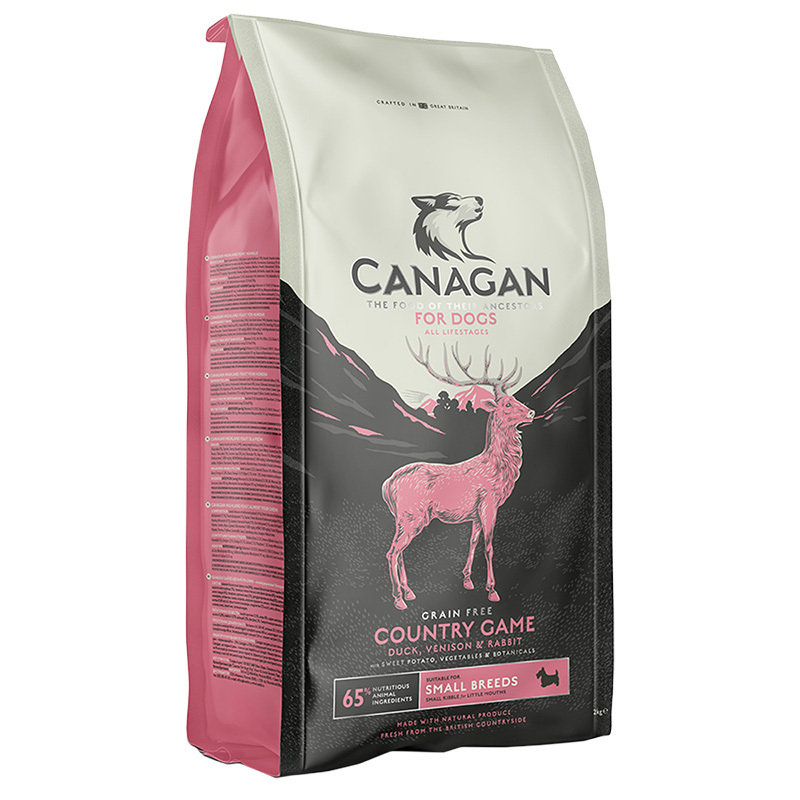 Canagan Country Game is the defining statement in grain-free nutrition for your dog, containing 65% animal : 35% vegetables & botanicals. The delicious natural ingredients deliver high levels of super digestible protein for maximum vitality, health and condition. Corn, wheat and barley have been linked with canine allergies, with symptoms ranging from upset stomach to itchy flaky skin. Even if your dog has no allergies, these grains have virtually no nutritional value, yet they are present in the majority of pets foods. Dogs, like all carnivores are biologically incapable of fully digesting grains, this is because they don't have an enzyme called amylaze in their saliva, which helps to break down these starchy carbohydrates. Dogs' saliva is virtually free from amylase making carbohydrates much more difficult for a dog to digest. Canagan is totally grain-free, including only carefully selected ingredients which are nutritionally accessible, providing your dog with the optimum in nutrition. 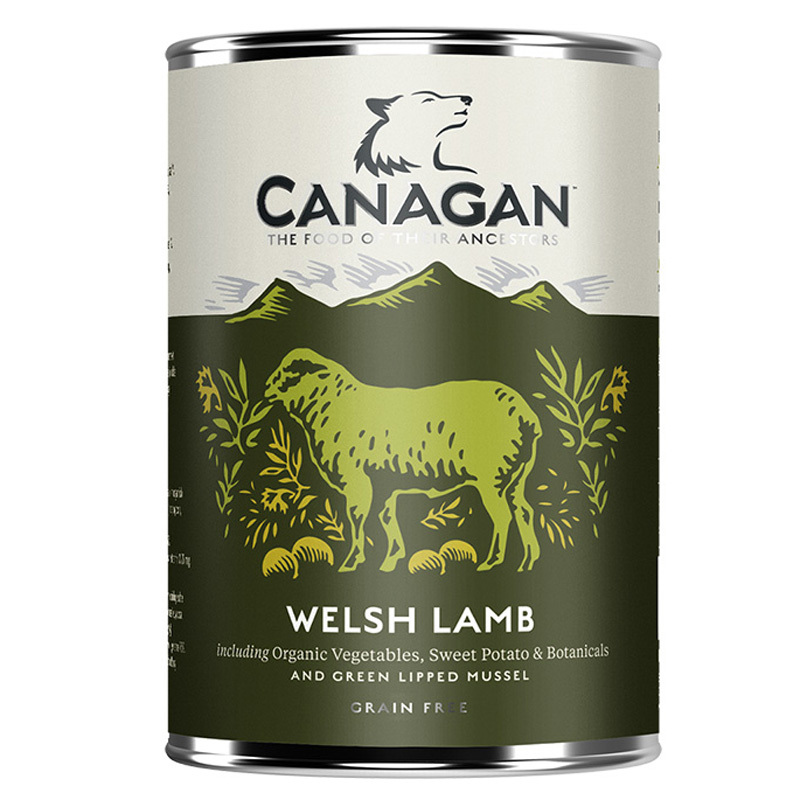 View the complete Canagan Dog Food Collection.